Posted on December 11, 2012 at 7:30 am. Dealing with plagiarism is one of my least favourite aspects of academic life. Today’s case, however, is much more fun. And as it doesn’t concern any of my own students, it involves no additional admin. That’s already a win. Yesterday I came across a sentence, that I once wrote in a paper for the Journal of Historical Geography, attributed to somebody else in the Guardian. To be honest, my surprise was not that someone had lifted my expression than that they had actually read my obscure paper about Rockall in JHG. I’ll take all the readers I can get. The purported author of the sentence is Nick Hancock – a Fellow of the Royal Geographical Society – who is going to live on Rockall for over two months in 2013 (plenty of time, one might think, to reflect on appropriate attribution). Hancock is an ‘adventurer’ – or, when he’s not wearing a dayglo drysuit, an Edinburgh property surveyor – who is aiming to break the record for the longest occupation of this unwelcoming rock. As Hancock intends to be there for 60 days, living in what looks like a yellow septic tank lashed to the rock, I guess the obvious question is: why? Rockall Solo is rather hazy on this, aside from a bid to raise money for the forces charity Help for Heroes which, Nick tells us, “does not seek to criticise or be political” but rather to simply support “those wounded in the service of our country since 9/11”. Founding patron: Jeremy Clarkson. A painting from Rev. W. Spotswood Green, Narrative of the cruise introducing notes of Rockall Island and Bank, Transactions of the Royal Irish Academy 31, 3 (1896) 39-97, p. 46. And here is the nub of it. In my paper (here: pdf 0.4mb) , I detail the slow emergence of a scientific professionalism that sought to distance science from mere thrill-seeking. At the same time, however, I argued that scientific accounts of Rockall were interesting in that they showed how science still retained the influence of the sublime – a bourgeois male aesthetic that celebrated heroism. In the original paper, I was not trying to say that Rockall’s early explorers were a cut above the rest (splendid chaps – all of them). Rather, I meant that inside the paternalistic and imperial values of Victorian society, a landing on Rockall was to enact the perceived virtues of manly science. In short: it was an argument about class and gender in the making of scientific knowledge; it’s definitely not an endorsement – not then, and not now. If all of this sounds a bit grumpy, this is less about missing footnotes than about a wider complaint I have about the modern expeditionary culture that is shared among many of the non-academic members of the Royal Geographical Society. Many favour old-fashioned ‘discovery’: the search for geographical knowledge providing the scientific legitimacy for getting there first or staying there longest (for which read: secure the territorial claim). And to be honest, there isn’t much discovery on Rockall Solo. The scientific rationale is, at best, wafer thin. It was always thus. When naturalist James Fisher helped the British state annex Rockall in 1955 he used science to authorize a brazen geopolitical claim, all so that Britain could test its shiny new nuclear missiles over the Atlantic. British Prime Minister Sir Anthony Eden, who that same year was to be found bombing his way through the Mau Mau rebellion in Kenya, could be afforded this small advance amid a worldwide imperial retreat. As I established in the paper, Rockall was the last ever territorial extension of the British Empire. All 83 feet of it. 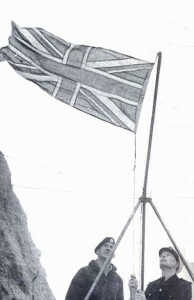 This leaves Nick Hancock FRGS as just one of a long line of British occupiers – James Fisher, Andy Strangeway, Tom McClean – bearing the Union Jack and asserting the values of military heroism. I don’t really mind the odd moment of bibliographic forgetfulness. But I find it much harder to overlook the pith-helmeted patriotism. 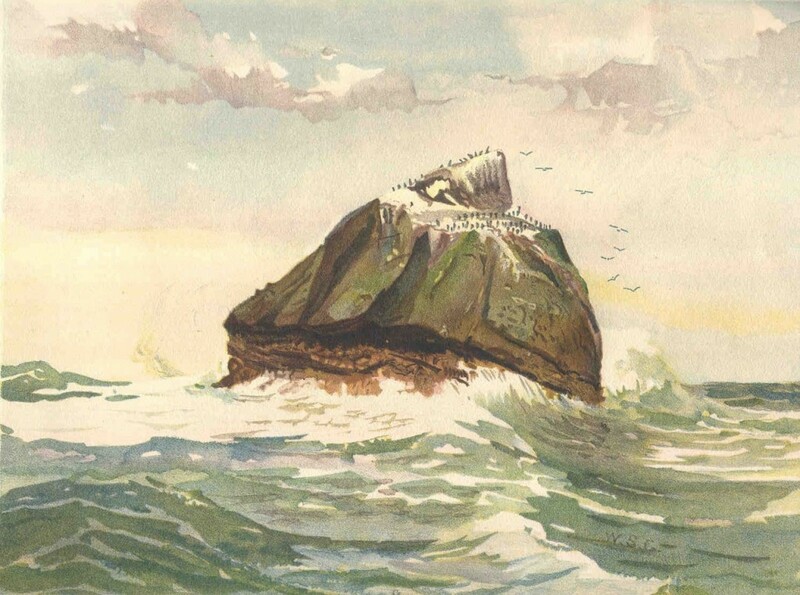 After all, if the British claim to Rockall is so well founded, surely the rituals of discovery – settlement, flag-waving – are all a bit beside the point? Just ask the wildlife. Posted on November 19, 2012 at 11:34 am. In 1983, when the craziness of Reagan-era missile-pointing was at its height, Jacques Derrida gave a topical address to Cornell University. 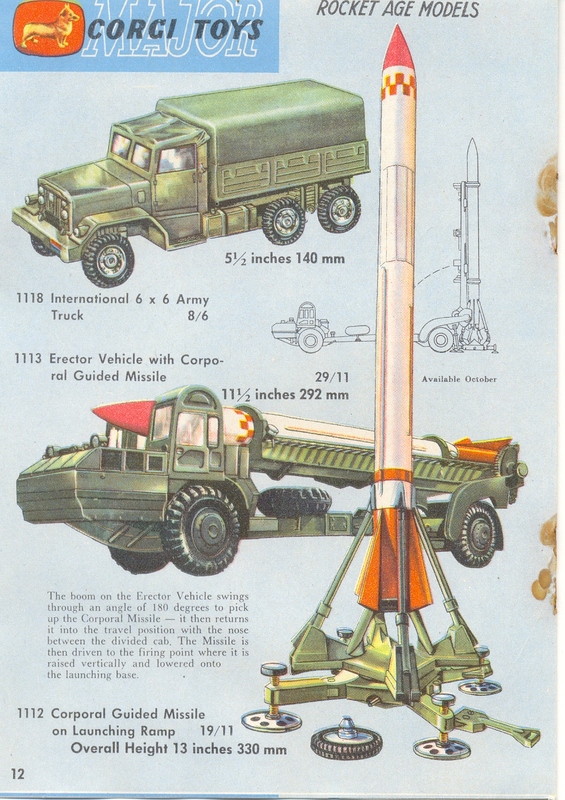 Starting with the wordplay between ‘missile’ and ‘missive’, it seemed to him that, more than other weapons, rockets were particularly concerned with sending a message; this, after all, was the principle of nuclear deterrence. 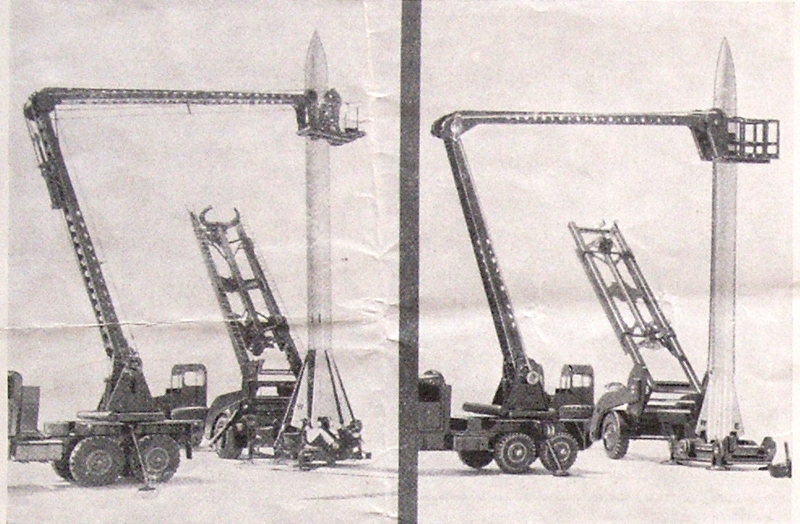 Rockets were ‘fabulously textual’, said Derrida, because ‘the technologies of delivering, sending, despatching’ were unavoidably bound up with the rhetoric of diplomacy and international relations. The lecture did not prove to be one of Derrida’s greatest hits. But there is something in his argument that might partially explain why rather more modest rockets have remained so important for Hamas. It plainly isn’t because they are effective field weapons. In the eight years before Israel’s last war on Gaza, the 8600 rockets that Hamas despatched had killed 28 people – many fewer than the 600 or so victims of suicide attacks in the same period. 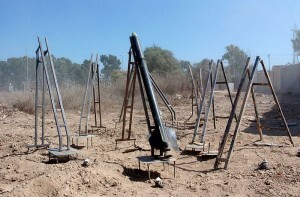 A more open border to the south of Gaza has seen Hamas access longer-range weapons like the Iranian Fajr-5 which, if successfully guided, could reach Tel Aviv. One fell short of Jerusalem last Friday. Most of their rockets, however, are home-grown Qassams – an unguided ‘kitchen’ technology propelled by sugar and fertilizer. 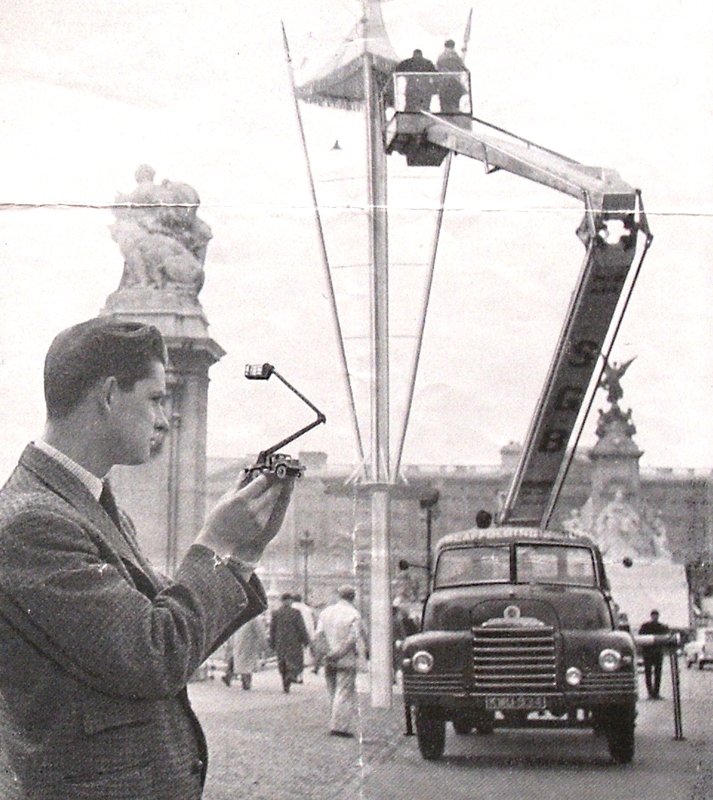 The IDF used to mockingly claim that they were made out of the poles stolen from road signs. Improvising materials makes accuracy out of the question. But accuracy was never the point. The obvious military rationale is still to spread fear and alarm among Israelis. Three people killed in apartment complex in Kiryat Malachi and several more injured in Ashdod will have contributed to this grim objective. But Hamas are clearly not oblivious to the fact that rockets have been part of the accepted language of geopolitics for over half a century. This dialogue may not assume exactly the same guise of Cold War ‘missile envy’ but states these days seem no less fixated with the totem. Drones are handy, but rockets remain the diplomatic big stick. For Hamas, a Qassam might not often kill the enemy but it does at least speak their language. Against an overwhelmingly superior adversary, the power of the rocket is that it is a message the recipient state has little choice but to receive. It was precisely this problem for which Israel’s Iron Dome interceptor system was designed as an automated ‘return to sender’. Though it has proven technically effective, the problem remains that Gaza’s rockets are insulting because they don’t need to hit their target in order to hit their target. Posted on July 7, 2012 at 9:40 pm. Last week Edinburgh hosted the annual conference of the Royal Geographical Society – Institute of British Geographers, at which I was co-organising a session on ‘Ludic Geographies’ with Tara Woodyer. My own paper on rocket toys is something I dusted down from two previous presentations some years ago. It will comprise only a page or two of my rocket book, but the material is interesting because – as with some of the academic literature on popular geopolitics – it re-orientates geopolitical agency from statecraft to everyday life. Rocket toys, I argue, were part of the means by which weapons of mass destruction were rendered intelligible in, and transposable to, domestic contexts. Moreover, certain aspects of play – technical improvisation, making, collecting, ordering, strategizing – are seen to be at work in both playroom and stateroom, toybox and silo. 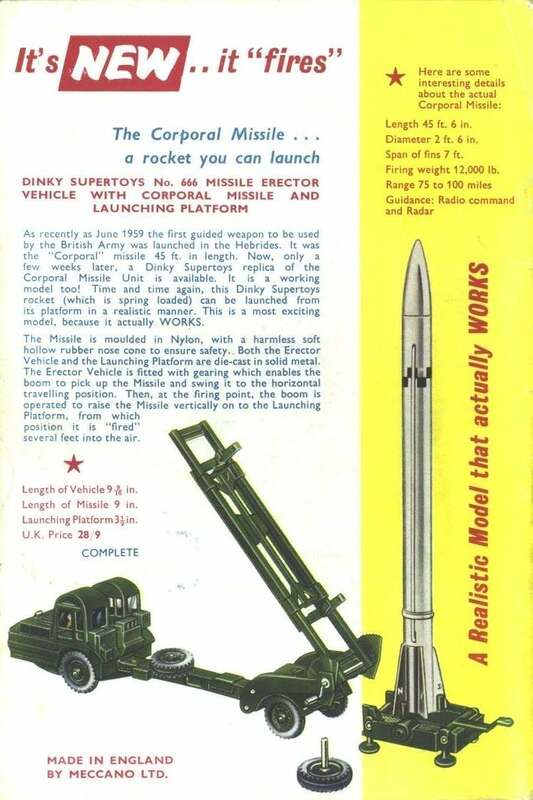 My interest, unsurprisingly, lies in those toys which replicate JPL’s Corporal missile, the weaponised version of Frank Malina’s WAC Corporal. You can see some of the adverts for these here. 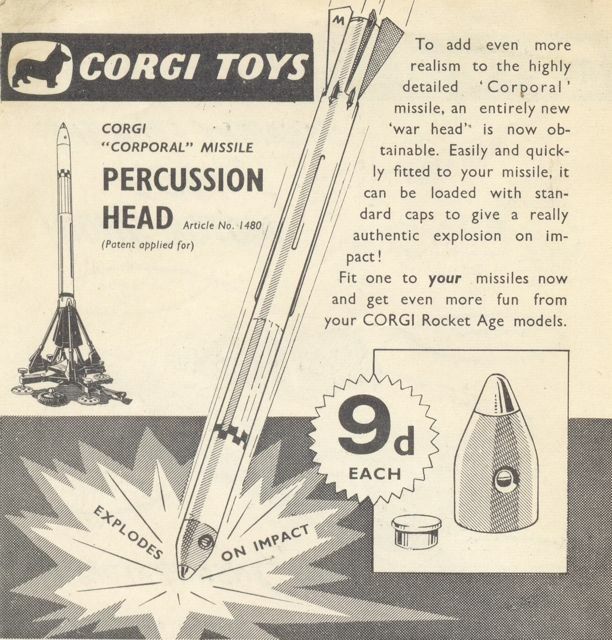 The indistinction between military hardware and its analogue plaything is nicely illustrated in these two sets of instructions, one from the Corgi’s Corporal missile and the other from preliminary operating procedures from now declassified British Army files. One is formal, earnest and technical; the other is … well … a bit rubbish. That play is constitutive of the Cold War. That we can think of sovereign nation states, like all subjects, as the ontological effects of practices that are performatively enacted – in this case, through object play. That play is not something that happens on the surface of geopolitics, far less as a response to it; geopolitics is itself, in part, a ludic enterprise. That there is no meaningful distinction between missiles and their toy correlates: the rocket is entrained in the ludic activities of both children and adults. All I need to do now is buff up these bullet points into 8000 words of persuasive argument in academic prose with appropriate citations. Oh dear.